How Pakistan's Space Agency SUPARCO beat ISRO in Space Race? Home Expert Reviews How Pakistan’s Space Agency SUPARCO beat ISRO in Space Race? Why Pakistan’s Space Agency SUPARCO was left behind by ISRO (Indian Space Research Organization) despite being at-least a decade ahead? What went wrong with SUPARCO which was first of its kind space agency in the sub-continent, leaving behind both China and India? There were a number of developments that happened globally in the year 1961. This was the year when the United States elected their new charismatic president John F Kennedy. The same year the USSR sent its first man in space, Yuri Gagarin, and it was in the year 1961 when India initiated its third five-year plan. Something equally important was also happening in Pakistan in the same year. This was the year when the great renowned physicist Abdus Salam was convincing the Pakistan President Ayub Khan to set up National Space Agency in Pakistan. Abdus Salam is considered the founder of Pakistan’s space programme as he initiated the space research in Pakistan when India’s space programme was not even planned. The space program was approved by Ayub Khan, and Pakistan established its first space agency in 1961. This was first of its kind agency in the sub-continent, leaving behind both China and India. The starting years of the SUPARCO were full of hope and determination. In fact, four scientists were also sent to NASA to study the space technology. Two years after SUPARCO was established, Pakistan launched its first rocket from a range off the Karachi coast. This was done with the help of NASA. After Israel and Japan, Pakistan became the third proud country to launch a rocket in Asia. Rohingya Muslims in India – Migrants, Infiltrators or Criminals? In spite of commencing the space programme eight years before India’s Indian Space Research Organization (ISRO), SUPARCO is considered to be decades behind India in terms of both the technology and mission success. The Indian space agency, ISRO recently, broke the world record by sending 104 satellites and has already launched missions to Moon and Mars, while SUPARCO has almost become redundant. What Happened to SUPARCO – Subcontinent’s Oldest Space Agency? There was little funding and great indifference from the government to enhance the condition of SUPARCO. Later, the government shifted all the funds associated with SUPARCO to the atomic bomb project due to which Pakistan’s space agency failed to take off. Later, between 1980 and 1990, the Pakistani president Zia-ul-Haq further withdrew the funding to the space agency, and also replaced the scientists. The focus of Pakistan was just to counter the rising threat of India. SUPARCO lacked adequate funding, genuine interest and political vision to improve the condition of subcontinents oldest space agency. The founder of Pakistanis space programme, Abdus Salam was the first Pakistani, and the first Muslim to receive a Nobel Prize in Science and Technology, and only the second Muslim to receive the Nobel Prize. 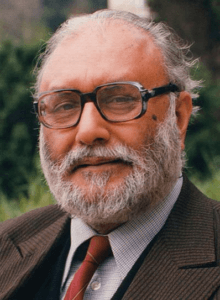 Despite his enormous accomplishments and international adulation, Abdus Salam was never idolized in Pakistan as he belonged to highly persecuted Ahmadiyya sect. Many top politicians, religious leaders, and bureaucrats in Pakistan also opposed Abdus Salam leading a prestigious programme. While ISRO launched its first communications satellite and started the technology sharing programs with several countries including the USSR, Pakistan’s SUPARCO just lacked political vision and funding, to counter the Indian ISRO. Even today, SUPARCO has not been able to do much; mainly due to low education level in Pakistan, lack of political interest, and most importantly scarce funding. The space agency is now counting its hopes on a Mission 2040 – by when they aim to have their own satellite making and launching capabilities. Whether the oldest space agency in the subcontinent will meet its target is again a big question.